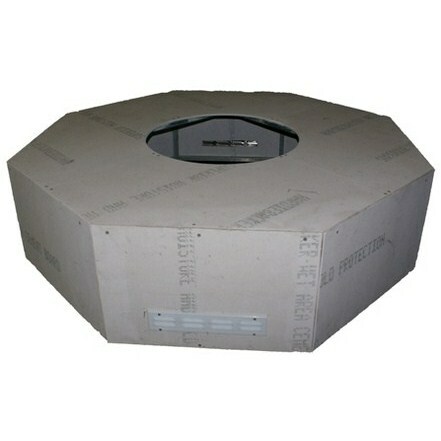 The RTF (Ready to Finish) system is the easiest system on the market for dealers, contractors and DIY homeowners; this system consists of and can be designed to virtually any size and shape. The cabinets can be customized with any thin or full-sized veneer product to complement existing hardscape elements. The end result is a full masonry outdoor fire pit with a strong, durable internal frame that offers numerous benefits over site-built fire pits. Each RTF fire pit is constructed from 22 gauge galvanized steel, welded with a ½” Hardiboard shell that will serve the test of time. The Eight features leveling feet which allows for installation on non-level surfaces. The RTF fire pits features choices of ignition systems.